ALBANY, N.Y. -- Applications are now available to eligible municipalities and not-for-profit organizations to compete for 2018 Technical Assistance Grants (TAG), a signature grant program of the New York State Council on the Arts (NYSCA) and Preservation League of New York State, with additional support from the Hudson River Valley National Heritage Area/Hudson River Valley Greenway. A total of $55,062 is available in this funding round. The total includes $45,062 in funding from NYSCA and $10,000 for the TAG program from the Hudson River Valley National Heritage Area/Hudson River Valley Greenway for projects within the Hudson River Valley National Heritage Area. Guidelines for grants are posted on the League's website at www.preservenys.org/tag---technical-assistance-grants.html . Prospective applicants must discuss proposed projects with Preservation League staff before receiving an application. Please call the Preservation League at (518) 462-5658 x 10 for more information. The New York State Council on the Arts and Preservation League of New York State launched the Technical Assistance Grant (TAG) program in 2012 to support discrete projects that preserve New York State's cultural and historic resources. Not-for-profit arts/cultural groups and municipalities managing arts/cultural facilities are encouraged to apply. The applicant group may apply for short-term, standalone projects that advance the preservation of historic sites, museums, opera houses and theaters, arts facilities and other culturally important institutions that are located in historic buildings and structures that are open to the public. These professional studies include: building conditions surveys, engineering/structural analyses, feasibility/reuse studies and specialized building conservation studies. Preparation of architectural plans and specifications are not eligible. Grant amounts will not exceed $3,000 and the total cost of the applicant's project may not exceed $3,500. Each applicant must provide $500 toward the total project cost. The Preserve New York Grant and Technical Assistance Grant programs are made possible through funding from the New York State Council on the Arts with the support of Governor Andrew M. Cuomo and the New York State Legislature, with additional support from the Hudson River Valley National Heritage Area/Hudson River Valley Greenway. 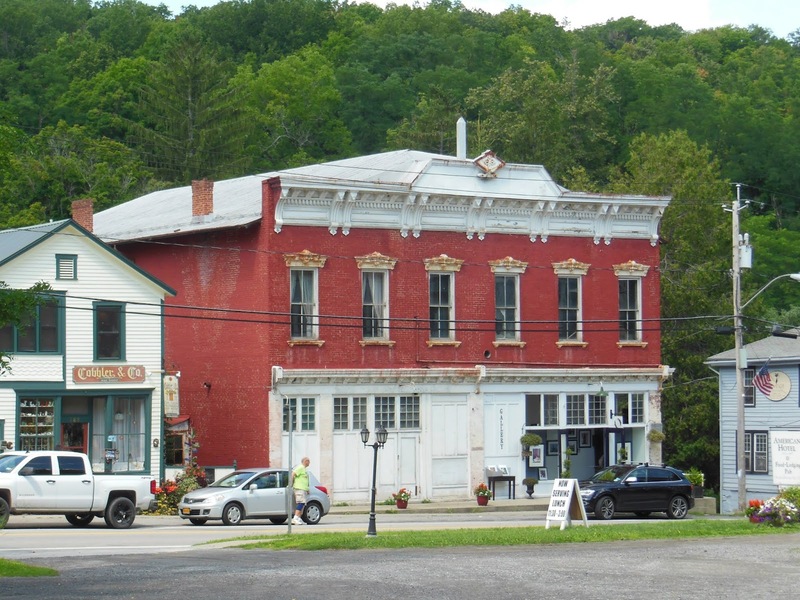 The Preservation League of New York State invests in people and projects that champion the essential role of preservation in community revitalization, sustainable economic growth and the protection of our historic buildings and landscapes. We lead advocacy, economic development and education programs across the state.